Visit us at our new blog home, located on our updated website. This entry was posted in Management on January 7, 2015 by pandersen. What do you know about Life Insurance? Have you considered taking out a life insurance policy? If the answer is no, let me give you a brief description of the benefits of taking out a policy and doing this while you’re young! Well, let’s just say the younger you are, the lower the price will be to insure you and let me explain why. When you are younger, you’re typically in better health than when you’re older. With that being said, getting lower premiums will be a much easier process and you will be able to obtain a fixed rate as long as you’re paying your premiums on time. This is just a portion of the benefits received at the time of purchase so I encourage you to keep reading on. “The cost of life insurance depends on many factors, including the type of policy, the death benefit amount, age and health at the time someone takes out a policy. By buying life insurance at a young age, it ensures that if something happens to someone’s health in the future, that person’s rates will always be based on his or her health at the time the policy was purchased,” (New York Life Insurance). How awesome is that? Pretty awesome! For you readers out there, this is important information to know before taking out a policy so make sure you DO YOUR RESEARCH! Lastly, let me add that my thoughts on life insurance were the same as many other young adults. I thought, “I’m 24 with limited possessions and no kids – what the heck do I need life insurance for?” In doing my research, though, I found the many benefits it offers including building cash value overtime and being able to take out the cash you need in case of emergency – even if you simply need to pay off a loan. Now, if this information about life insurance hasn’t moved you to at least consider purchasing it, then I MUST say you should still think about it or maybe even pass along the information to your family and friends. This is one investment that is worth your while. Next week I will break down the many different types of Insurance options you have to determine the type of insurance that is best for YOU! This entry was posted in Uncategorized on November 20, 2014 by pandersen. First, if you bought your car up in the northeast, you were given All-Season Tires by default. Many people feel that their all-season tires are designed to survive winter’s wrath, but really they are designed to do everything pretty well. Rain, not bad. Dry, perfectly fine. Snow? Ummmm… Snow? Not so good, really. Should we have another winter like the last one, a good set of snow tires will serve you very well indeed. Why snow tires? First, read a basic Q&A here, at About Cars… As you can see, snow tires are made of special rubber, they have tread designs specific to the needs of snow and ice, and they make a huge difference in your driving safety when the white stuff falls. Even on dry pavement, the rubber is more pliable in the cold – while your all seasons get hard and brittle in the winter, snow tires stay soft and grippy. If you need your car daily, there is no better investment in the northeast than snow tires, making your front or all wheel vehicle safe and secure as you commute. Another benefit for those of you that have sporty cars? You can buy summer tires for the other 3 seasons, improving your driving in wet and dry during the warmer months. Option 1: If you have a small or economy car, you likely have wheels in the 16″ – 17″ size range. This is a good size for snow tires, so you can have them installed right on your current rims. This requires a repair shop or tire store to do the install. The benefits are you only have to pay for the tires and installation, the drawback is that you have to pay for that installation twice a year, as you switch between your winter and summer tires. Option 2: Get a totally separate set of wheels with your winter tires. You may see the term “Steelies” used for steel wheels that are often utilized for this purpose. For those of you with performance vehicles, this option may save you some money, as winter tires for large diameter wheels are expensive and less effective. Winter tires work well on smaller wheels, because the tire sidewalls are larger than the low profile sport tires your car likely came with. My car, for example, has 18′ wheels with low profile tires, but I can get 16′ steelies and winter tires – and pay less for the tires. The drawback to this option is the initial cost, as steelies run from $50 to $100 per wheel, and you may need 4 tire pressure sensors installed as well – a one-time charge, dependent on your car. The benefit is the ease of switching the wheels between seasons yourself if you have a jack, and that you will have the wheels winter after winter. You also save your pretty shiny wheels from the winter salt and punishing ice, making them look better for longer. Now is the time! Contact the many retailers that sell those winter tires that you need more than you realize. You may be able to get rims off of Craig’s List, or order them online. Store your summer tires for the year (always on their side, stacked), and enjoy the next 4 months without worry. You won’t believe the change in your car after you make this investment! Now drive smart, drive carefully, and get there safe. Check out this quick comparison of some of the major snow tire players in the market from ConsumerSearch. This entry was posted in Auto Insurance on November 19, 2014 by pandersen. It is Movember, which means it is time for me, and many hundreds of thousands of men like me (4 Million in 2013! ), to grow the much misunderstood and maligned mustache. We do it because we love the odd looks from people we don’t know, we do it for the comments of friends and loved ones that either think it is great or horrible, but mostly, we do it because it is for a good cause. The owners of Levitt-Fuirst have always supported this endeavor, donating money to my MoSpace page each of the years I have taken part. I appreciate their support, and hope that with each year, I find more people to support me in this endeavor. Much like breast cancer awareness and the color pink, Movember is designed to bring awareness to men’s health issues. From testicular and prostate cancers, to mental health issues. Movember is designed to open the eyes of the masses that men need to take better care of themselves, and to bring into the light the risks that take the lives of so many men earlier than they should. Movember is about encouraging more men to take steps today that may allow them to live longer, happier, healthier lives. But about the mustache… I have to say right off the bat – I cheated. You are supposed to grow a mustache from scratch, just a clean face with no pre-growth. Me? I had a goatee, and decided to maneuver it into the standard for which I have been known for these last three Novembers. The Movember site calls it the “Trucker”, though I think of it as a Modified Zappa… Sad fact is prostate cancer took Mr. Frank Zappa’s life, at 53 years of age, so let’s call this an homage to him, in the hopes that there will be fewer prostate cancer victims in the future. Regardless of the name, the shape, the comments it receives, or the motivation – the goal of Movember and the 4 million mustaches continues to be bigger than the fashion statement we are or are not making… The goal is to raise awareness, increase education, improve screening, catch diseases early, and improve treatment. That is where you come in. 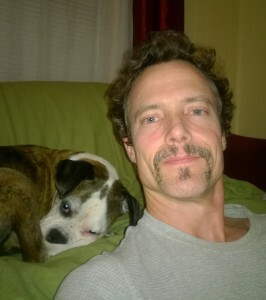 I ask you to visit my MoSpace page, http://us.movember.com/mospace/4335633, and donate to this good cause. Maybe because you know someone that has fought these diseases, maybe because you are a friend of mine, maybe because you just simply want to encourage a man with a mustache. Really, does the reason matter? The results are all good. This entry was posted in Uncategorized on November 11, 2014 by pandersen. But what is the point? The point is that we all make decisions based on perceived facts. We don’t ask questions because we mistakenly think we know the answers, and because of that, we miss out on some important things in life. This is not just about insurance, it is about a world that we think we know, but that really is full of mystery. But today, let’s focus on the insurance side of things. Decide if these 10 statements are facts or myths, then click the link and see how you did. Ready? 1: I should buy insurance coverage for my house based on its real estate market value. 2: Red cars cost more to insure because they get pulled over for speeding more. 3: If I cause a crash with extensive damages to others, my auto insurance company can cancel me immediately. 4: Small cars are the cheapest to insure. 5: The Affordable Care Act (also called Obamacare) allows health insurance companies to base rates on medical conditions such as high blood pressure, heart disease and cancer. 6: Comprehensive auto insurance covers everything and anything. 7: Thieves prefer to steal new cars. 8: If my friend borrows my car and crashes it, their insurance will pay for damage. 9: The Affordable Care Act (also called Obamacare) requires me to take the health insurance plan offered by my employer. 10: Out-of-state speeding tickets can’t follow you home. Results? Click here. Good Luck! This entry was posted in Auto Insurance, Homeowners on October 28, 2014 by pandersen. A big part of writing a blog is finding useful things to impart, and to impart those things in a unique way. Sometimes, others offer information in a way that is pretty excellent, though, and pointing you to that information can be as useful as reinventing the wheel. 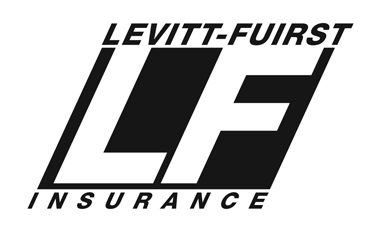 We have spoken about the relationships Levitt-Fuirst has with our insurance carrier partners, most notably in our “Why An Independent Agent?” piece. These partners have amazing information available to them, and some of that really fits with what we are trying to impart to you in this blog. For example? The Hartford. the Hartford started out as a fire insurance company 200 years ago, and continues today to lead in fire safety and prevention – a major cause of loss to homeowners since, well, since the beginning… They recently created this 28 page fire prevention and safety guide that should be mandatory reading for all homeowners. Today’s blog? Today I am hoping you will take the time to read this Hartford booklet to have a better understanding of fire risks, to reduce those risks, and to survive a catastrophe. As is always the case, the safety of you and your family are the most important things – the rest is replaceable. This entry was posted in Homeowners on October 24, 2014 by pandersen. At Levitt-Fuirst, I manage a sub-company called Risk Reduction Services (RRS). Simply, we collect proof of insurance documents from contractors for our clients. If there is a claim caused by a contractor, our clients can feel secure that the contractor has insurance to pay the claim. All of this made me think of personal auto insurance. When you are in an accident, you expect the other driver to have proper insurance! Recently, however, I have been reading many stories about individuals that either have only the minimum auto coverage limits, or forego auto insurance entirely. Reasons vary from the slow economic recovery to increasing auto insurance rates, but whatever the reason, the number of uninsured drivers is climbing. Here is one such story that caught my eye. Though this is from Dayton Ohio, you could insert your town name and the story wouldn’t change. Even if that driver in the lane next to you DOES have insurance, however, there is no telling if they have ENOUGH insurance! Do you know how low the New York State’s mandatory limits are? Mandated liability insurance limits are $25,000/person, $50,000/accident. Limits for death are $50,000/person, $100,000/accident! Property damage? $10,000!!! Cars are more valuable than ever, and humans are more litigious than ever. These limits will not protect you if you cause an accident, but they will also not care for you if you are involved in an accident caused by others with bad insurance! First, make sure you have a good uninsured/underinsured limit. This coverage is the one you need for those occasions where the other driver doesn’t have insurance, or has extremely low coverage limits. Although this is a required coverage in New York, the mandated limits are too low to truly protect you. Talk to your insurance professional to find out if your limits for this essential coverage are high enough. Second, do you have a lot to protect outside of your car? Do you have an expensive home, vacation home, jewelry, kids with college funds, stock portfolios? If the answers are YES, than the rules are different for you. You should have an umbrella policy to protect you in the case of a lawsuit or high cost claim. Do you have an umbrella policy? Yes? GOOD! But that auto policy better be $500,000 combined single limit, or you may have a large shortfall when that unthinkable auto claim occurs. Most umbrella policies require underlying insurance to be at least $500,000 before the umbrella coverage kicks in. This is one very good reason to keep all of your insurance with one insurance expert – the more you have to protect, the more you need a synergy amongst all of your policies. Auto Insurance is expensive, especially in the tri-state region. Rates in New York City are especially high, and New Jersey is known for their high rates as well. The risks to you, your family, and your personal wealth is real, though, and skimping on this essential coverage simply doesn’t make sense. Give us a call, we are happy to check your policy to see if you are protected from this, and other risks you face each day. This entry was posted in Auto Insurance on October 17, 2014 by pandersen. This Saturday, October 11th, Levitt-Fuirst will have a booth at the Community Associations Institute Conference and Trade Show at the Ramada Inn in Fishkill, NY. In addition, Jason Schiciano, President of Levitt-Fuirst, will be a part of the 9:00 a.m. panel “Can We Do This?”, discussing the legal, accounting, and insurance ramifications of what a property board can and cannot do. We are a proud member of the CAI, and many of our clients are members as well – we are truly happy to be a part of the show. The Levitt-Fuirst booth was recently created, and is intended to initiate conversation – “Why Fear Insurance?” is the slogan we decided on. It seems some people think of insurance like they do the dentist, and we feel it shouldn’t be viewed with fear or avoidance. Insurance is one of the good things in life, protecting our families and businesses from catastrophic loss, and keeping our world comfortable in the face of adversity. It is Levitt-Fuirst’s goal to make insurance as pain free as possible – why fear insurance indeed? Levitt-Fuirst writes insurance for just about anyone, from the new homeowner to the multi-national manufacturer, but one of our specialties is condo and coop, or “habitational” insurance. This is the insurance that the condo or coop has to have to protect the building and property from losses or claims. If you live in a condo or a coop the New York/Westchester/Lower Hudson Valley region, or are a part of a community association in that area, there is a chance that we write the property and liability insurance for your building or association. It is one of our specialties, along with construction, bonding, and high net worth personal insurance. Insurance is an interesting business, with your success tied to many factors. Clearly, there is the experience and knowledge of the area of expertise – having worked in real estate and construction for going on 50 years, it is understandable that we have that skillset. As we have grown, we have broadened our reach as well, covering new industries from restaurants and food trucks, to manufacturing and technology firms. With experience comes experience, and each year we find a new niche to broaden our reach and expand our business. With each new experienced employee we hire, we have a broader, deeper pool of information to pull from as we write new policies. Beyond the knowledge, however, are the relationships with the insurance carriers, the relationships with the communities in which we work and live, and the amazing referrals we receive from clients that appreciate what we bring to the table. Levitt-Fuirst has always been a referral based agency – we don’t grow by acquisition, we grow by impressing our clients enough that they recommend new clients. It is an old school philosophy that has truly worked for us, as we continue to succeed even in a difficult marketplace. This entry was posted in Real Estate on October 9, 2014 by pandersen. Reading the Chappaqua Daily Voice, this story jumped onto our radar. It isn’t surprising that auto insurance is expensive in our region, but the story made us think about the auto market in general here in New York. Something that you will hear a lot is that auto insurance has become “commoditized”. When competitors offer a product with no discernable differences, price becomes the only factor that matters. The commodity concept is what Geico focuses on – how much you can save? The study that is referenced, which can be found here on the ValuePenguin website, points out the expense associated with auto insurance in the region, but fails on a few other fronts. When all you talk about is price, you lose sight of the bigger picture of risk, protection, and security for you and your family. Auto Insurance is an Important Insurance Policy! First of all, I want to mention that this study uses some very low insurance coverage numbers. If you live in Chappaqua (or Armonk, or Harrison, or Greenwich, or Scarsdale), you likely have more to protect than those low limits allow. You have more to risk, and far more to lose with low limit insurance – and the study actually INCREASES the numbers from what New York requires! Hello, maybe it is time to talk Uninsured/Underinsured insurance coverage? Next weeks blog, read it here next Wednesday! For now, just know you NEED IT! You will hear me often talk about the professional guidance Levitt-Fuirst offers our clients, and how this professional knowledge is essential to making good insurance decisions. This is also true with the supposed commodity personal auto insurance. For a well-off family, the auto insurance you carry could be a huge benefit – or problem – when a big auto claim hits. Having an insurance expert explain the coverage options to you, and make recommendations to you based on your particulars, might mean the difference between being covered for a major claim and suffering a large out of pocket expense. Some vehicles are unique, and their value is higher than what you would expect for the make and model. Under these circumstances, you should be directed toward agreed value coverage. Blue Book values are the standard basis for insurance reimbursement, but a standard blue book value coverage could cost you when your unique auto’s value far eclipses the blue book. Perhaps you read about this concept in our Antique Auto blog? What about rental insurance? When does it kick in, how long does it last, how much comes out of your pocket? Rental cars are expensive; a few weeks of a car being in the shop could cover several years of the savings garnered by not having this coverage (or having a poor version, with economy cars and 1 week limits). Or the big one – do you have enough auto insurance to reach your umbrella coverage? Umbrella policies often stipulate that the underlying auto policy have limits as high as $500,000 in order for a claim to be covered – that low limit policy that saved you a few hundred dollars may cost you $400,000 during a lawsuit! This entry was posted in Auto Insurance on October 1, 2014 by pandersen. It has been a few weeks since we discussed the process of buying a home. If you recall, part 2 left us at the contract signing. This is the point of no return, assuming things go well with the rest of the process. Part 3? Part 3 takes us from Contract to Closing. If you thought the stress ended with the contract, well – who are we kidding, you knew the stress didn’t end there! With a house, does the stress ever really end? Still, that contract signing was a really nice milestone in the process, as it means that everyone agrees upon the basics of the sale. So, what happens between contract and closing? And what is involved in the closing itself??? A few things happen during this time. From the buyer’s perspective, there are at least three things that you can expect. First, the house must appraise to value – the bank will send in an appraiser to make sure the loan is not larger than the appraised value of the house. This can take a few weeks, to get scheduled, completed, and a report to be filed. If the house does not appraise to value? I have heard where a request was made for another appraiser to make a report, with success. In the end, this step is essential – the bank does not want to have a loan outstanding that exceeds the value of the property… Read more about what they look for here. Next, you need to have homeowners insurance. Some banks will offer to get the insurance for you, but as you might expect, I think a broker is the way to go. The price is usually pretty reasonable, given the size of the investment, and your trusted advisor (Levitt-Fuirst???) can guide you to a company that is right for you. Finally, you will be asked to send 4,827.5 documents to the bank to verify just about everything you have told them up to this point…. It can be exhausting, but here is my advice to you. Collect everything ahead of time! You need tax records, bank statements, copies of checks and deposits, statements from every fiduciary account you hold, proof of employment, and and and and and… Be patient, be close to a scanner, be prompt and be responsive. Don’t hold things up, get your paperwork in! Congratulations, you made it! The house appraised at or above the loan value, the title came back clear, and you somehow managed to appease the bank with 4,827.5 documents proving you are a good risk with regard to this very big loan. And here you are, the date of closing. On the morning of the closing, you will do a walk through to make sure the house is still in good shape (the owner is required to keep the property in good shape). Remember those things you asked the seller to do? The concessions? Make sure they were done. Make sure things seem to still work, and the place is as you expect it to be. Even the yard should be kept in the same shape as when you decided to buy. Now, it is off to the lawyers for the signing! And signing. And signing… You will generally be required to bring a bank check to pay for those large closing costs we talked about (your lawyer will give you the amount and the HUD statement of what makes up that amount), and you should bring your personal checkbook in case there are some outstanding items that got missed. After signing and reading several hundred documents, you will be given keys, and off you go! Whew. On a personal note, buying a home is a very exciting thing. When you buy a car, that excitement comes when you drive off the lot. When you buy a home, the excitement is when you drive into your driveway for the first time. After all this time, you finally reached your goal. Congratulations! This entry was posted in Homeowners on September 26, 2014 by pandersen.